To complete Hunting Requests in Red Dead Redemption 2 you'll need to find and hunt a three-star Blue Jay. If you consider yourself a hunting savant in Red Dead Redemption 2, you’ll likely have spotted one or two Hunting Requests each time you’ve stopped by a post office or train station. These posters ask you to return perfect carcasses for a range of animals, some easier to find than others. While you may not have any trouble catching a rabbit, smaller birds and rare critters can prove far more troublesome to spot than larger beasts. To spare what can prove a frustratingly time-consuming endeavor, in this guide we’ll help you find and hunt a Blue Jay in Red Dead Redemption 2. 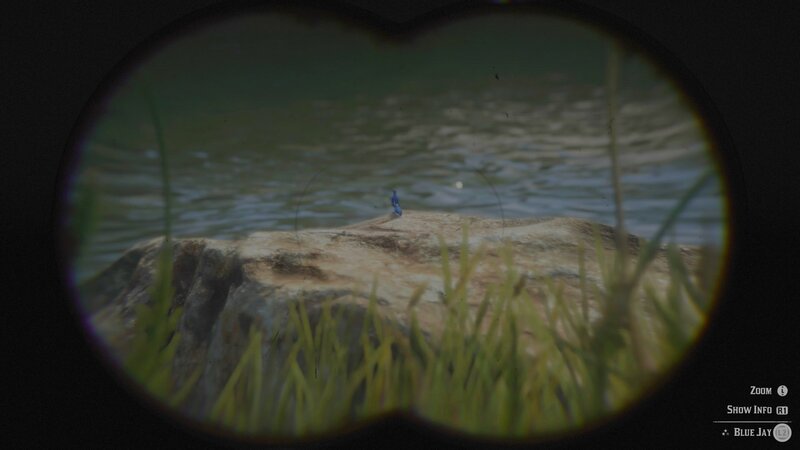 Blue Jays are actually fairly ubiquitous in Red Dead Redemption 2, so the real difficulty is in actually spotting them as you travel. The most common location to find them is by the Dakota River, northeast of Flat Iron Lake. Wandering around this or other areas straining your eyes for a sign of this tiny bird can be real hassle though, so what we’re after is a very specific spawning point. Fortunately a YouTube video by FP (embedded below) contains just that. In it a Blue Jay can be seen resting on top of a small rock on the western side of the river. 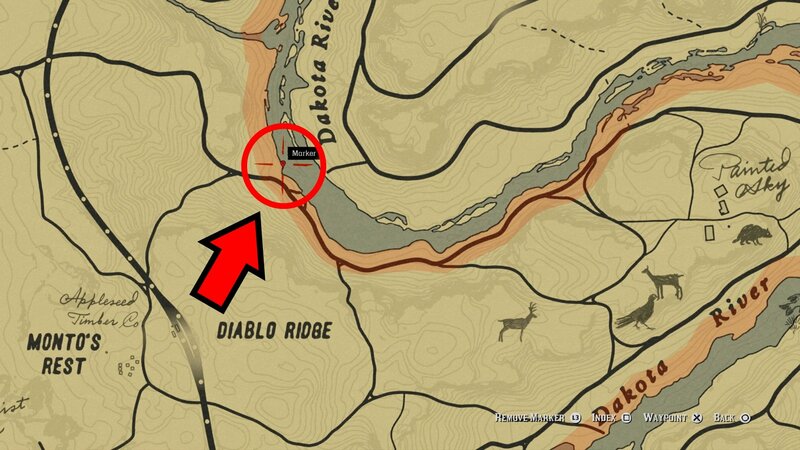 This little spot can be found on the second large bend of the river, north of Diablo Ridge. We checked it out for ourselves and found it to be a pretty reliable spawn position for the Blue Jay, and even after you’ve shot one there, another will appear when you return in future. If there’s no Jay there when you arrive, keep your distance with binoculars trained on the rock and you’ll eventually see one flutter down. If you’re not having any luck, set up camp elsewhere then return the next day. Remember, to complete the Hunting Order you need a perfect carcass, and for small creatures that means using the Varmint Rifle (or the Bow with a Small Game Arrow). You’ll need to study the animal from afar to check its pelt quality first (only three-star animals grant perfect pelts), and deliver the carcass quickly to make sure it doesn’t degrade. We recommend using Dead Eye to land your shot as the Jay is tiny and one miss will send it flying out of reach. If you lose track of the carcass simply repeat the process again after setting up camp elsewhere.